Thu., May 3, 2018, 6:44 a.m.
A GRIP ON SPORTS • As always, Frank had it right. “That’s life, that’s what people say,” Mr. Sinatra sang back in the days of wine and roses. “You’re riding high in April, shot down in May.” Read on. • The foibles of spring struck and struck hard in the region yesterday, enough to make grown men wince. But, then again, that’s life. • Sports are cruel. How else can you explain quite possibly the best game James Paxton has ever pitched in an M’s uniform, a game he turned over to two lights-out relievers with a two-run lead, resulting in a loss? The big lefthander tied the A’s into knots for seven innings, striking out a career-high 16, walking one and giving up just five hits. But strikeouts, as Crash Davis once noted, are fascist – and need a lot of pitches. After seven innings, Paxton had used 105 of them and that’s enough in early May. Especially when Juan Nicasio and Edwin Diaz were available. 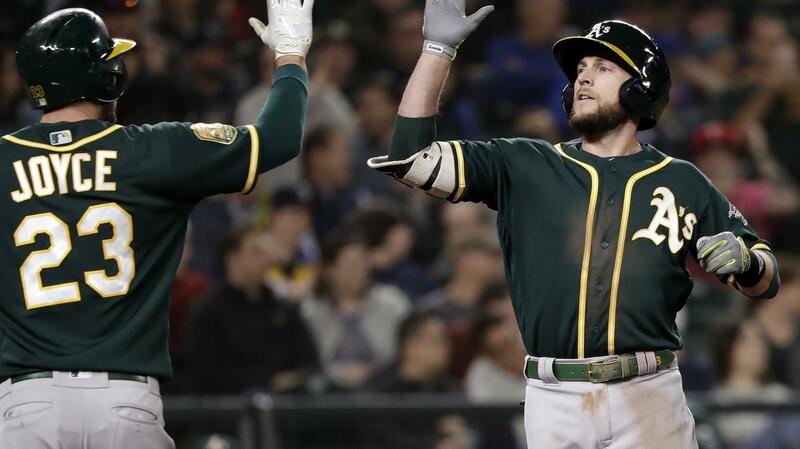 The two righthanders, who haven’t been touched much this season, were Wednesday night, with Nicasio giving up a game-tying bomb to Jed Lowrie in the eighth and Diaz, Mr. April, giving up the lead on a Mark Canha solo home run in the ninth. • When the guy in charge of making the decisions tells a soccer website the Sounders aren’t going to be big spenders anymore, Seattle’s fans panicked a bit. And rightfully so. The Sounders make a lot of money. They have been successful. But this season has started out, well, awful. Jordan Morris tears up his knee and is out for year. The offense disappears. The spring transfer window ends next week and no move has been made. Then Garth Lagerway opens his mouth. He tried to extract his foot yesterday, telling the Times’ Geoff Baker he “screwed up,” but that’s a bit late. Sounders fans fill CenturyLink at a nearly unprecedented rate, paying top dollar to cheer on the state’s team. And they don’t want to hear excuses, only answers. And they want to see all the money they contribute spent making the franchise better. • I am a firm believer sports are incredibly constructive for high school-aged kids. They teach great lessons. The more students who can participate in those lessons, the better. Which is why I have a sort of off-the-wall opinion about the demise of the multi-sport athlete. The S-R ran a commentary today decrying the specialization of the high school athlete and I appreciate the arguments made. But I want to present a counter one: Spots on high school athletic teams are limited by resources. At a larger school, the competition for those spots is fierce. If one student athlete plays three sports, then one athlete benefits from the positives. If that same athlete concentrates on a single sport, that opens up spots that will be filled be two more students. Instead of one person gaining the benefits athletics offer, three do. Last time I took math, three was greater than one. Many of us pine for the days of Johnny, The Three-Sports Star, with his Academy Award-winning looks and his flowing blond hair. But his demise has opened up opportunities for others, opportunities that shouldn’t be overlooked when making an argument for a return to the past. WSU: Around the Pac-12, there is always more to cover in football after the spring practices finish, including the rankings. … And in basketball, a 20-game conference schedule is under discussion at the spring meetings. … Finally, Todd McNair gets to tell his side of the story to a neutral group. Gonzaga: Hoopfest and Gonzaga are pretty intertwined these days. Jim Meehan has some more proof of that in this story about Few Good Men. Idaho: Have we mentioned spring football is over? It had its moments at Idaho, moments Peter Harriman covers in this story. He mentions the loss of senior linebacker Tony Lashley, who is transferring to, ahem, Boise State. CCS: The Sasquatch swept a doubleheader yesterday. Chiefs: Hey, one of my best friends is mentioned in this story about defenseman Ty Smith winning the top WHL academic honor. Golf: It’s going to be in the 70s for a while, so no wonder we are thinking about golf. The sports department’s Grand Poobah, Ralph Walter, has a column concerning the paper’s coverage of the game and Jim Meehan outlines plans to improve the watering systems at Spokane’s city courses. Preps: It’s Thursday and it’s playoff time. That means we have roundups from baseball and soccer. … There are also stories about Central Valley’s baseball success this season from Steve Christilaw and a track notebook from Greg Lee. … There is also the commentary we also linked above. Mariners: The 3-2 defeat to Oakland was especially galling as the Mariners had opportunities to play add-on after building a two-run lead. But they never did. … Diaz was honored as the best American League reliever in April. 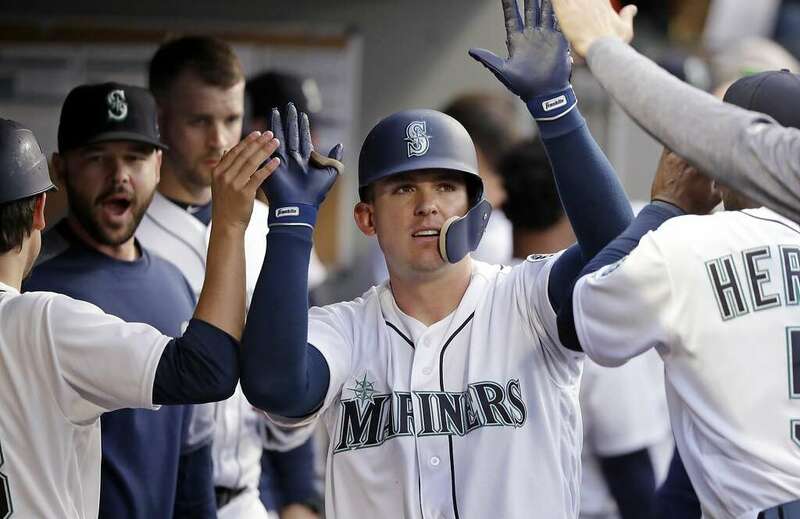 … Ryon Healy decided it was time to move on. … Speaking of moving on, more and more people see this weekend as Ichiro’s opportunity to retire. … Wade LeBlanc will start tonight. … Portland can't miss this chance on expansion. … There are more Mariner musings on Larry Weir’s Press Box pod. Seahawks: The Hawks’ odds to win the Super Bowl got worse after the draft. Published: May 3, 2018, 6:44 a.m.